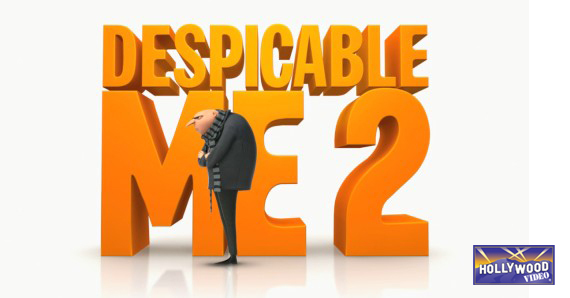 Universal’s animated feature ‘Despicable Me 2’ has topped the US box office for the second consecutive week! Call it a hit. Driven by the voices of Steve Carrell and Kristen Wiig, Despicable Me 2 is once again the number one box office draw in the US! Score TWO for the Minions. In just two weeks, the Minion-happy feature has outperformed the first installment in what’s now sure to become at least a three-movie franchise, and brought in well over $200 million. Last weekend, it trounced Johnny Depp’s The Lone Ranger, and this week made short work of Pacific Rim and Grown Ups 2, both first-week entries. I’d be smug too if I’d pulled in over $100 million in two weekends. 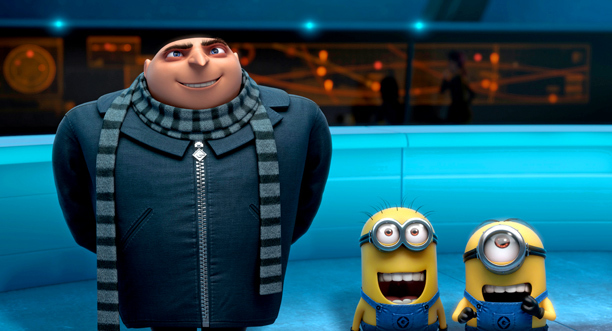 The story of a now-former super-villain trying to make a go of it as a normal stay-at-home dad with a jam business who gets roped back into the life he left, Despicable Me 2 has proven dominant two weeks in a row — rare enough over a summer stretch, but even more rare over a slew of big-time first-week contenders. 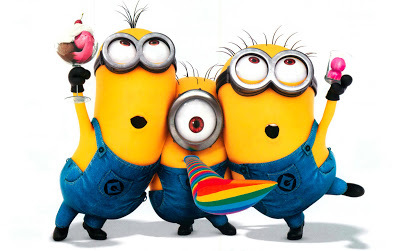 In the last two weekends, neither The Lone Ranger, nor Pacific Rim, nor Grown Ups 2 were enough to take it on, and looking ahead to this Friday, with The Wolverine as the most blockbuster-likely contender coming out in its first week, Despicable Me 2 might be the summer’s first threepeat! Ain’t no party like a Minion party, it would seem. Though they couldn’t take on the adorable force of nature that Despicable Me 2 has apparently become, both Grown Ups 2 and Pacific Rim gave decent showings in their first week. Buddy cop comedy The Heat and The Lone Ranger rounded out the top five. This entry was posted in The HV Blog and tagged despicable me 2, grown-ups 2, pacific rim, the heat, the lone ranger, weekend box office by summerm. Bookmark the permalink.